Redskins wide receiver DeSean Jackson continued his mission of finding a cure for pancreatic cancer on Wednesday when he donated $10,000 to to Johns Hopkins School of Medicine. DeSean Jackson’s world was turned upside down in 2009 when his father, William Jackson, one of the major driving forces throughout his life and his athletic career, passed away after a five-month battle with pancreatic cancer. But Jackson, at the time already a star receiver with the Philadelphia Eagles, knew he had the platform as a professional athlete to raise awareness — as well as funds – to find a cure for this terrible disease that affects more than 48,000 Americans a year. Through his own DeSean Jackson Foundation, Jackson’s mission continued on Wednesday, when he presented a purple check – the color known worldwide for pancreatic cancer awareness – for $10,000 to Johns Hopkins School of Medicine to assist in the fight to stop pancreatic cancer. 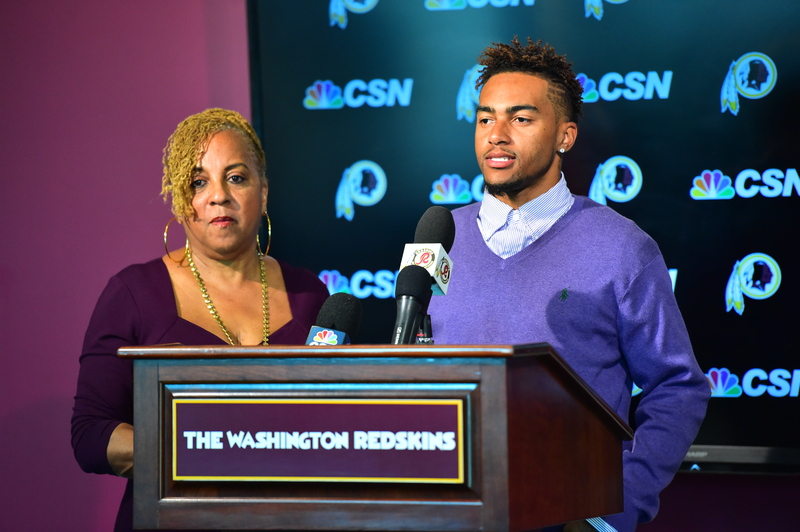 Jackson presented the check with his mother, Gayle “Mama Gee”, to Dr. Ralph H. Hruban, a professor of Pathology and oncology at The Johns Hopkins School of Medicine in Baltimore, in a ceremony at Redskins Park in Loudoun County, Va. 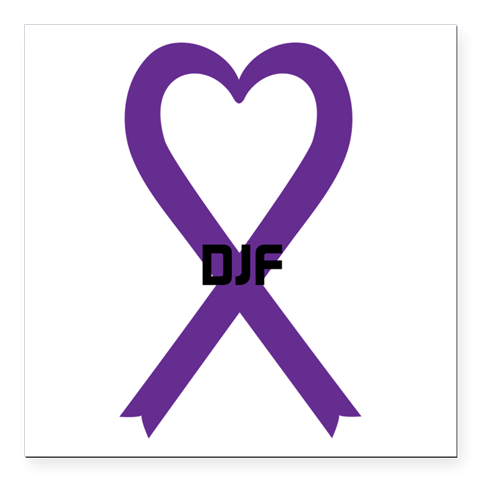 In June, he had a star-studded lineup out for his inaugural DeSean Jackson Celebrity Golf Tournament held to raise money and awareness for pancreatic cancer and anti-bullying efforts. In attendance at The Golf Club at Lansdowne that day were the likes of boxing legend Larry “The Easton Assassin” Holmes, actor Pooch Hall, comedian and actor Mike Epps and Jackson’s former teammates LeSean McVoy and Michael Vick. For more information about the DeSean Jackson Foundation’s initiatives, visit DeSeanJacksonFoundation.org.